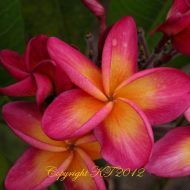 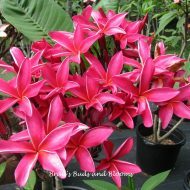 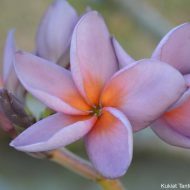 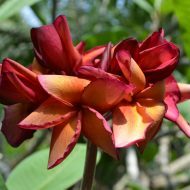 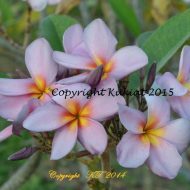 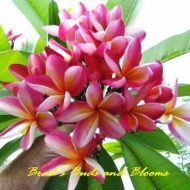 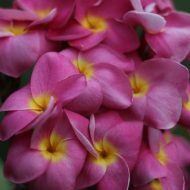 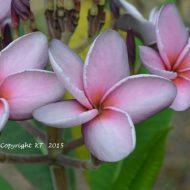 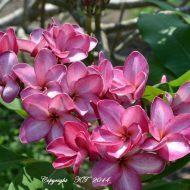 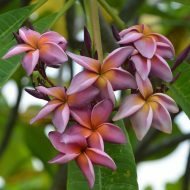 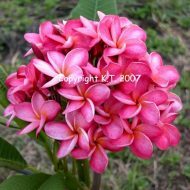 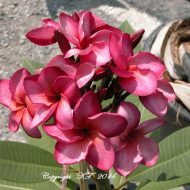 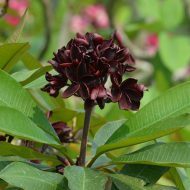 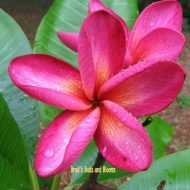 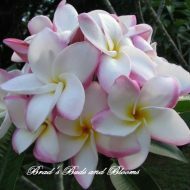 Home	> Shop	> Plumeria	> From Thailand	> SJ Jubilee–New for 2017! 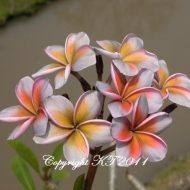 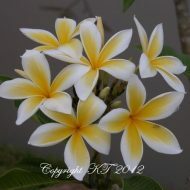 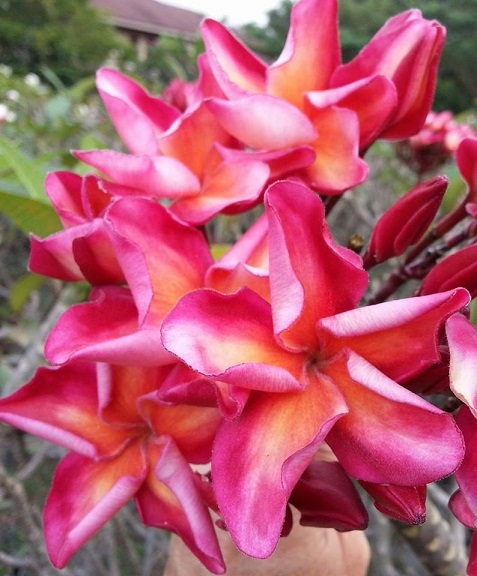 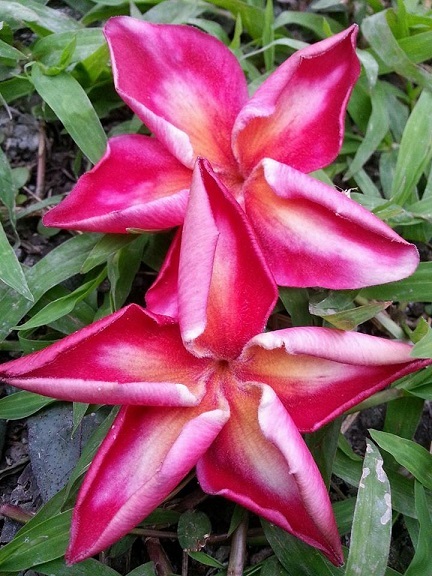 This stunning plumerias comes from Sunchai in Thailand. 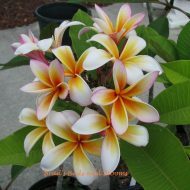 The name is appropriate we feel, due to the mix of festive colors of orange, white and pink. 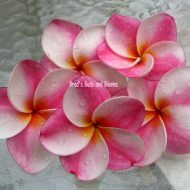 The petal edges are really gorgeous with seductively wavy edges. 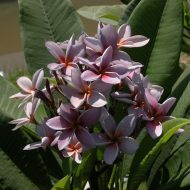 In hottest weather, the flowers can form pointy tips. 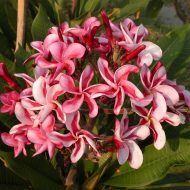 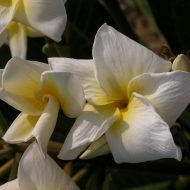 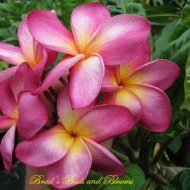 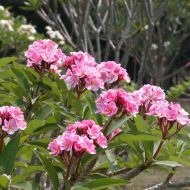 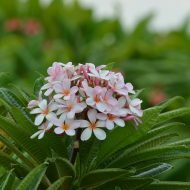 Flowers average 3.5″ and have a lovely sweet fragrance. 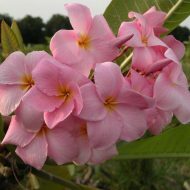 Grafted plants 14″-18″, measured from the soil line.